Stands- custom built sand filled steel. Subwoofers- custom built (to match the decor!) dipole subs using 2x15" woofers in each box. 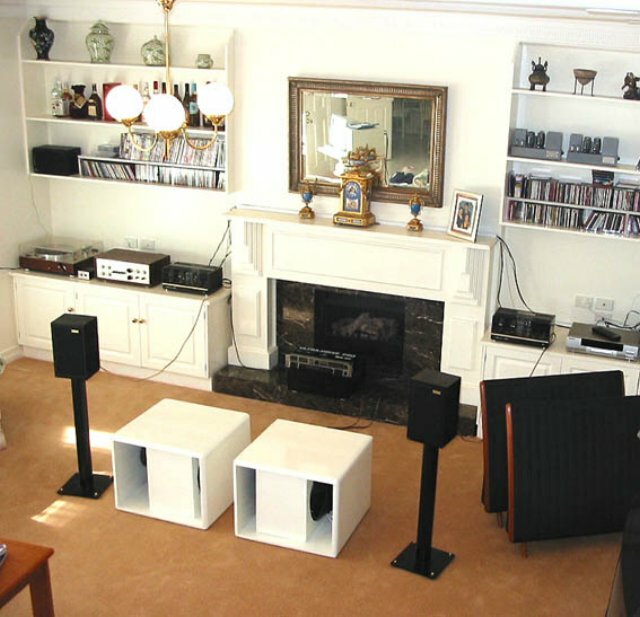 Powered by Luxman M383 power amp using behringer 96/24 crossover & ultracurve equalizer to match the rolloff with the natural rolloff of the LS3/5a and to correct sub 80Hz room nodes.